Finally Found My New Mexico Hair Stylist!!! | My Journeys Through Life . . . Herding Cats In New Mexico! ← What a Difference a Year Makes . . . Finally Found My New Mexico Hair Stylist!!! 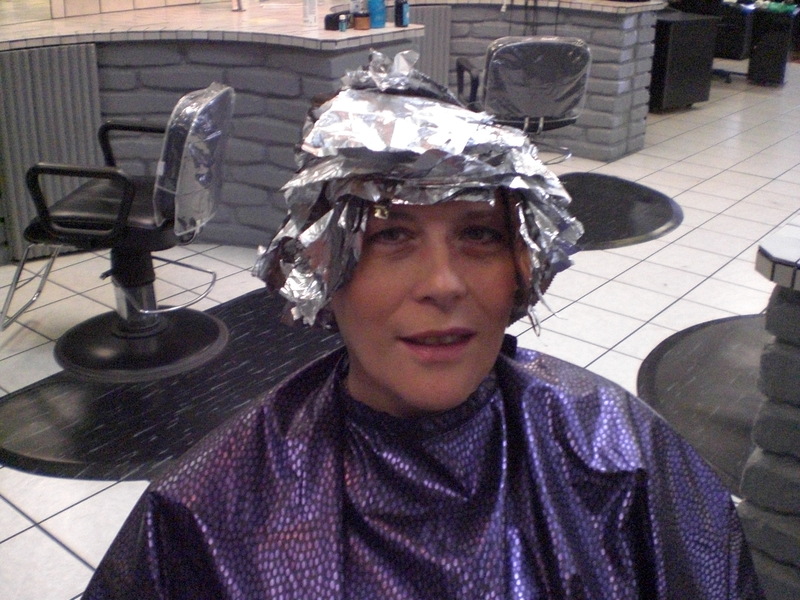 So I have been desperate enough to go to an assembly line, “get ’em in, get ’em out” place (which shall go un-named, but has the initials F & S . . . ) for cut, color and eyebrow wax ever since we’ve been here, because, well, I couldn’t just not get my cut, color and wax done on at least a semi-regular basis . . . But I have NOT been happy with the results at all. I REALLY miss my stylist, C.J. 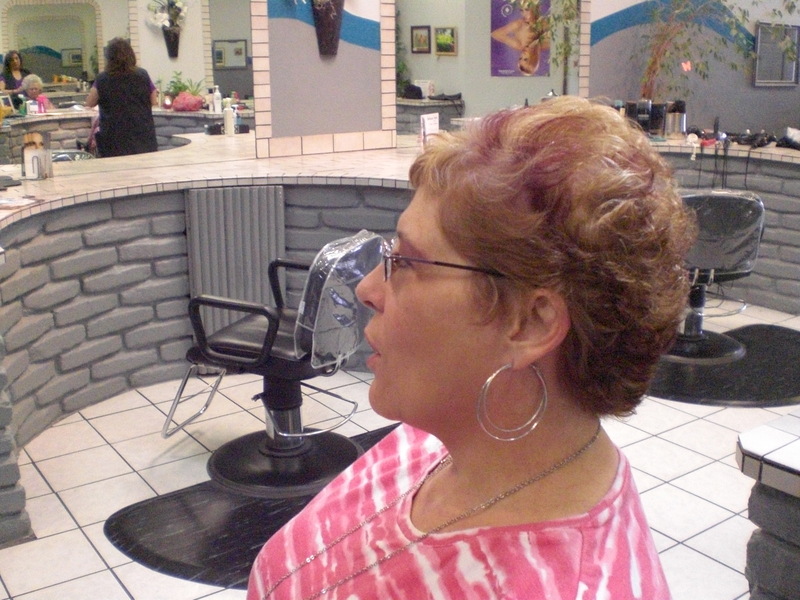 Greer, the owner of Urban Chic Salon back in Michigan, and Whitney Ouellette, who did my hair whenever C.J. was booked . . . This is what I’ve been looking like, after the assembly line, chain place. The atmosphere there is very comfortable, very colorful and artistic. There are a number of art pieces for sale that were created by the owner. The place is even decorated in similar colors to Urban Chic! 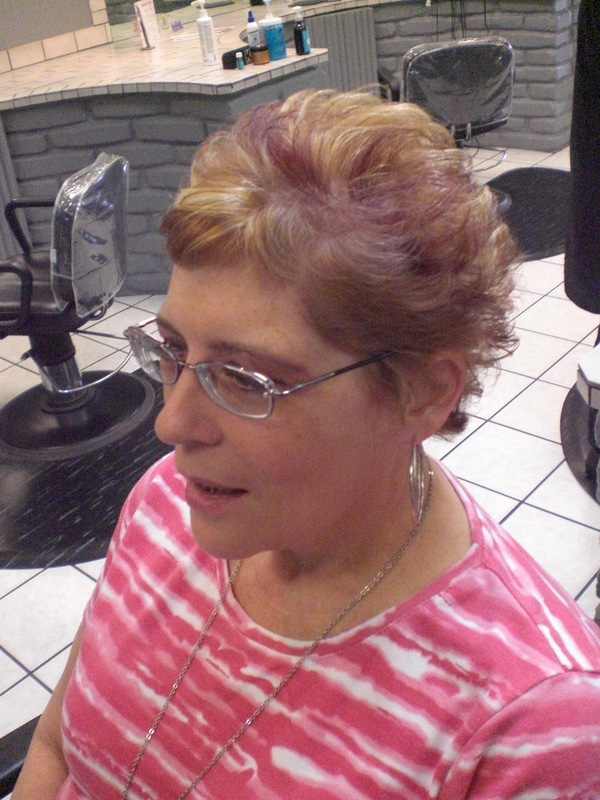 So, Jody and I conferred about my colors for this appointment (I like to play, so every time I go my hair color WILL be somewhat different, LOL! 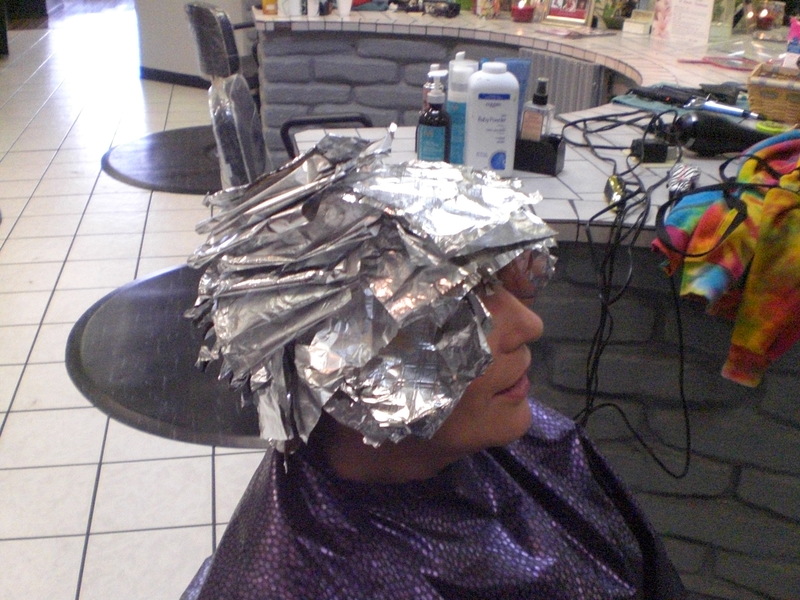 ), she went and mixed the colors, and came back with colors and a pile of foils. After a few moments, I was in definite “Beam me up, Scotty!” mode, LOL! 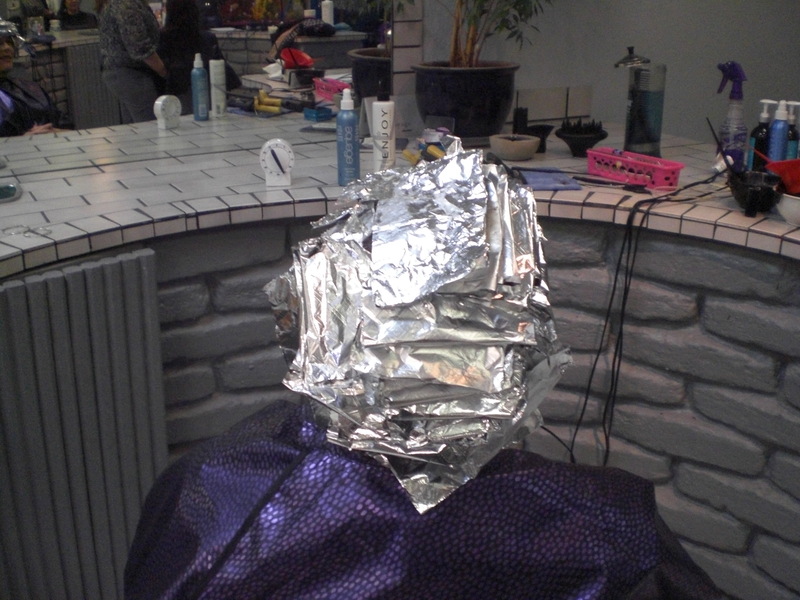 25 minutes on a timer to process the color, then she removed the foils and washed the excess dye out. 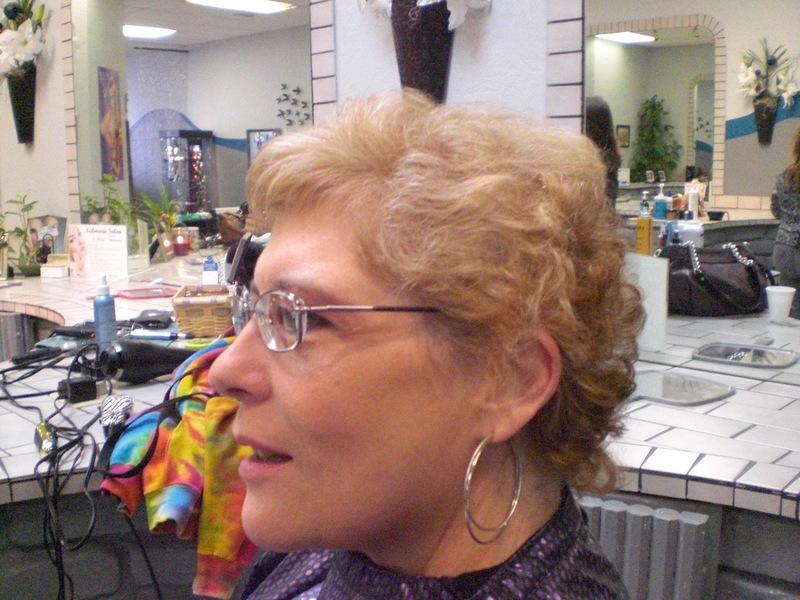 Then, she created a really, really cute cut for me! I shall miss you greatly, C.J. and Whitney, but sadly, 1700 miles is just too far for me to go for regular hair care. Thankfully, I’ve found someone here who cares as much about how my hair looks as you always did! What, you don’t like pink? 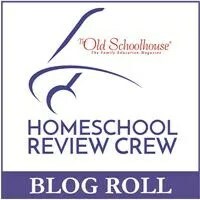 Now, you KNOW if I were ever to do something like that, it would be PURPLE, LOL! Lovely! I’ve been in GA for almost 14 years and still haven’t found a personal stylist. (Obviously I haven’t looked very hard.) I still go to Great Clips and end up with a different person every time. It’s an adventure. 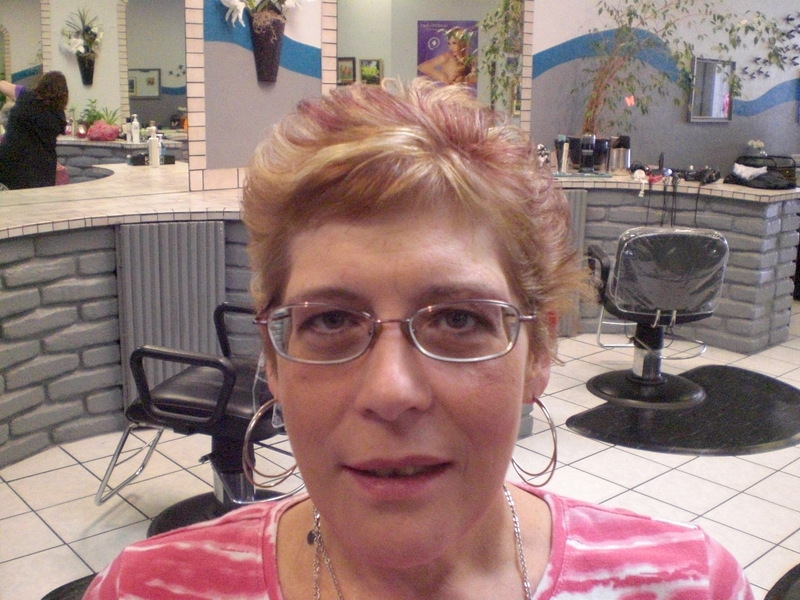 Pingback: I Have Just the BEST Hairstylist in Albuquerque! | My Journeys Through Life . 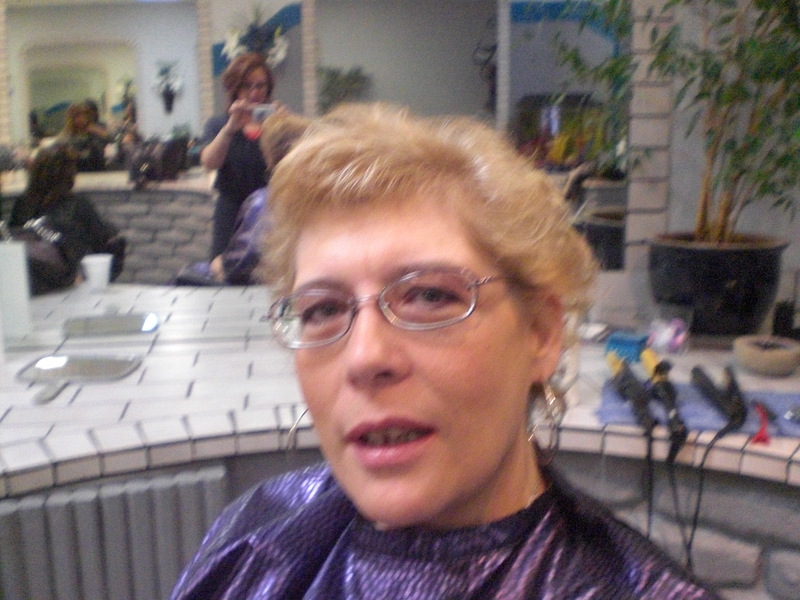 . .
Today, I went to a wonderful place called Neilmarie Salon, and one of their stylists, Jody Muniz, worked on my hair. 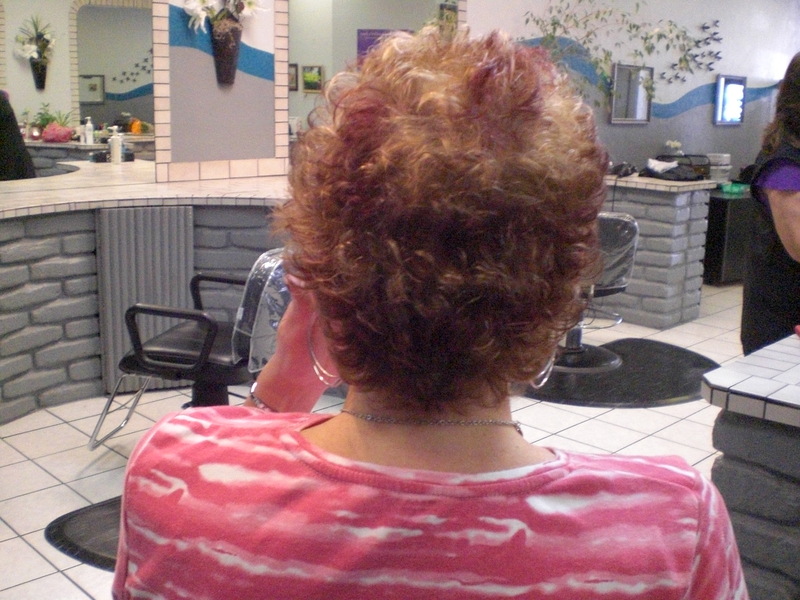 She took the time to consult with me about colors, about cut, about my hair texture, etc . . . She did NOT try to rush me through. She told me right from the start, “I don’t let a client leave until they are happy”. THAT made me feel happy, right there!